RPG games are one of the popular genre on console. These games however are not limited to console anymore. Many such RPG games are now released for Android platform. In this review, we'll take a look at some of the RPG games on Android. Role-playing games, also known as RPG allow you to represent a persona in a gaming plot. This sort of gaming genre was popular because of games such World of Warcraft and Clash of Clans. These games have plenty of fan following and are often the most downloaded games compared to any other game genre. Let's take a look at some of the RPG games that you can play on Android. This game is a reboot of game with same name. Earlier the game has limited set of play and monsters. However with this version the storyline has improved with lot of content. As per the game description there is around 15 hours of game content. It has more of retro theme to the story so if you like such retro gameplay, then this is the game for you. The price of the game is 2.99$ and there are some add-ons on higher level. In short, for those who like medieval feel in the RPG will find this game really interesting. The game costs 2.99 to download and there seems to be no free version available. There are some RPG that have turn based combat style. Evoland is one such Android game that has this built into its gameplay. It has mix of 2D and 3D action adventure gameplay in a story. 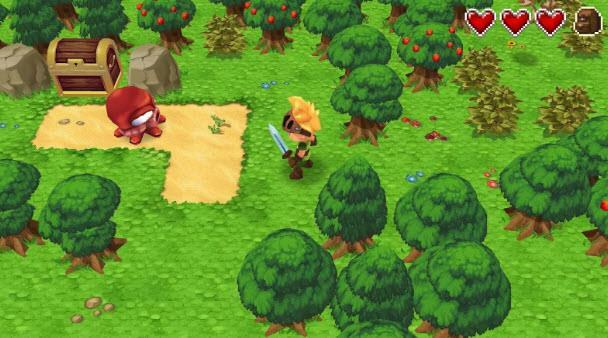 Though game has mixed a lot of plot from multiple genres, you'd find Evoland worth playing. It has it's unique spin to the action adventure RPG genre. If you want to try new RGP plot, then take a look at this game. The game costs 4.99$ at the Google Play Store. A bit expensive game but the graphics and the gameplay justifies the price. All the versions of this game fall into action adventure RPG genre. Older versions were more vintage and the modern RPG is lot different. Also the amount of action and adventure added into recent games is lot different. It has very unique plot and also lot better gamplay than other RPGs. You'd get addicted to this game once you understand the characters and the missions. This game's price varies depending on the version you're about to purchase. Older version are lot cheaper and the price varies depending on the amount of content being offered by game. Modern version of the gameplay is moderately priced for newbie gamers. Inotia is one of the best graphically rich RPG games series. It's earlier versions were all good with gameplay and graphics. This series too have plenty of action for you if you've followed the series so far. It has around 400 maps to finish with 90 different type of skills to acquire. So in terms of quest exploring and story, the game is not going to disappoint you. The game basically is free to download but contains some in-app purchases and other upgrades, which may save you some time. Not all upgrades are worth, so unless you're addicted, there is no need to even purchase the add-ons. The game has completely alternate interface for the play. It's not your typical menu and navigation based RPG. It also has mix of other genres such as action and campaign play. In terms of graphics you may not find much out of the box effects. It has very mediocre level of graphics within the game. The overall gameplay looks a bit classic if you ask me. There are some elements of the gameplay which are worth checking out, such as powers and upgrades. At the end, the game is not free and costs 4.99$ on Google Play Store. The gameplay has more of guided action than pure RPG. You may get a lot of pointer and directions while you navigate your hero characters to fight with villains. You are playing the role of young Jedi and going on missions. There are lot of interesting crafts to drive and powers to acquire. Story proceeds based on how you perform in the game. So the game will keep you engaged till the end. Unlike PC game, you'd not find the survival theme gameplay in the Android version. If you played games like Fallout on android then this game is something you'll enjoy. One thing to note here is that game is priced very high. It costs 9.99$ to download and play the game. If price is no object to you then this game is worth taking a look. There is no shortage of modern RPG games on Google Play Store. Depending on the type of genre you play into RPG, there are plenty of other Android games for you. However If you are into adventure and action themes within RPG, then the above mentioned RPG can be a good option to you.